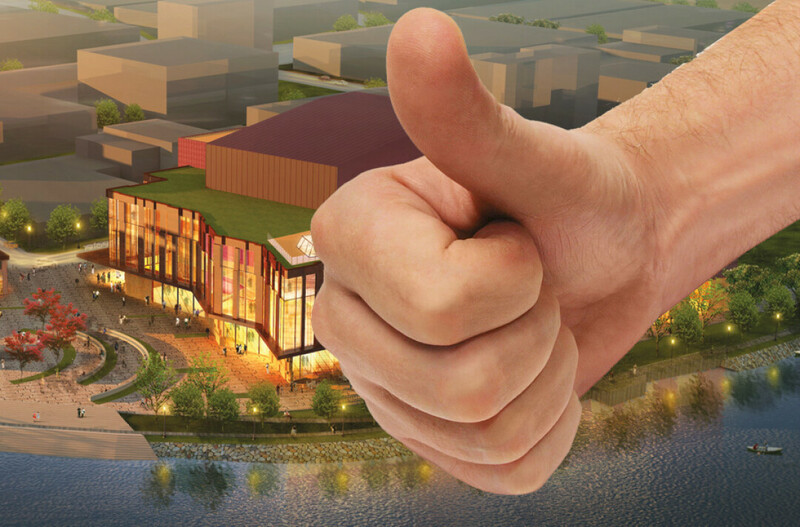 Get the fancy silver shovels ready: The Eau Claire City Council has signed, sealed, and delivered a $5 million deal with a developer to help fund a downtown performing arts center. The 78-page agreement between the city and Haymarket Concepts passed on a unanimous 11-0 vote Nov. 10, ensuring that the arts center will receive city funding via a special tax district. The $5 million in tax incremental financing will cover just part of the public-private arts center’s estimated $40 million cost. Other funding will include $15 million from the state, $3.5 million from Eau Claire County, about $3 million in new market tax credits, and $13.5 million in private donations. Philanthropic pledges recently passed $10 million, and fundraisers are well on their way to gathering another $500,000 by the end of December to secure an additional $1 million challenge grant from an anonymous donor.